It wasn’t pretty and it wasn’t fun, but yes, I finished. 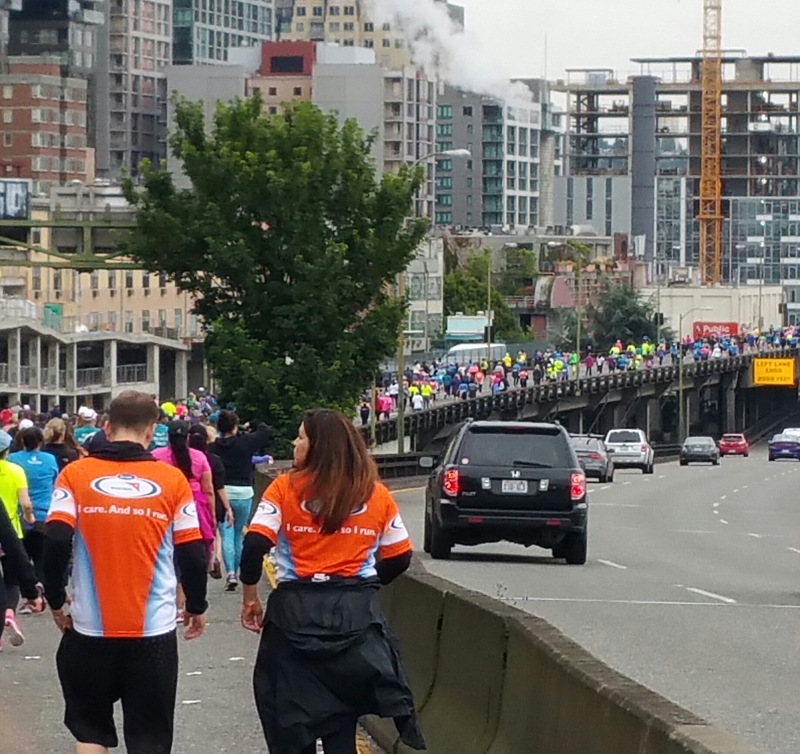 One of the best ways to see a city is to run a race through it. 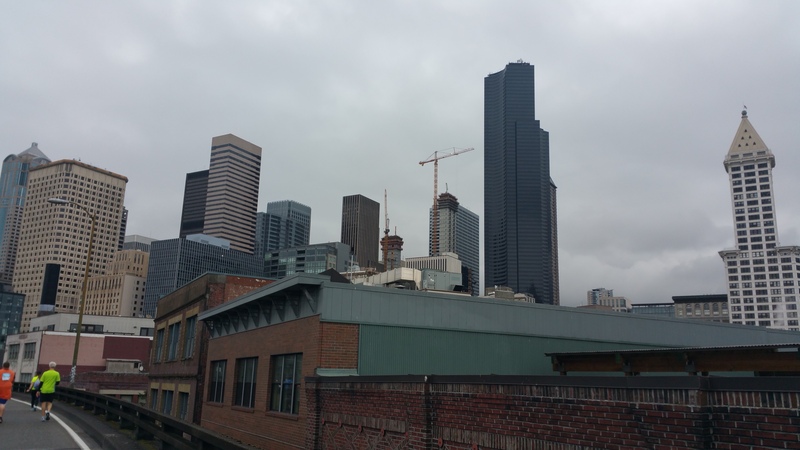 I got some great shots of Seattle… shots I wouldn’t otherwise be able to get. Here is my day in pictures. This is at the start. So many people, it took me over an hour to cross the starting mat once the first corral had gone. James hit the 5K mark before I even started. 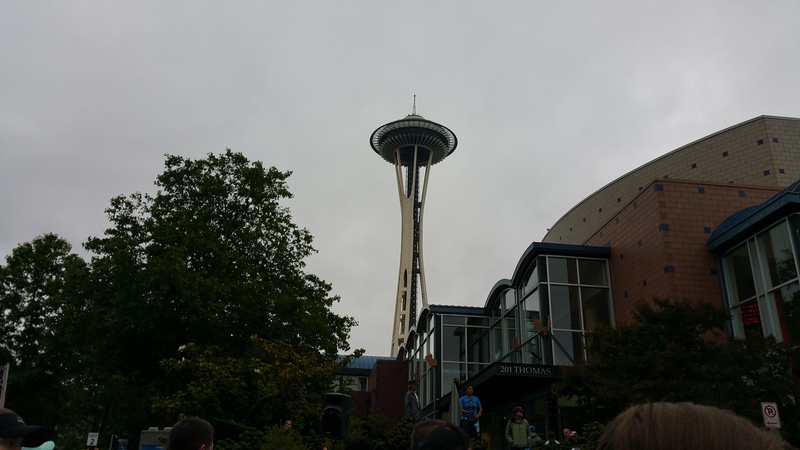 We started at the Space Needle/Seattle Center. 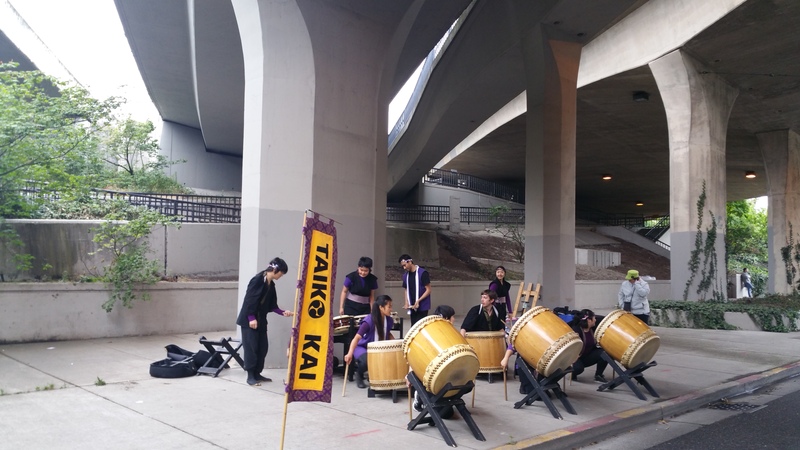 Alaskan Way Viaduct… can you see the wall to wall people? 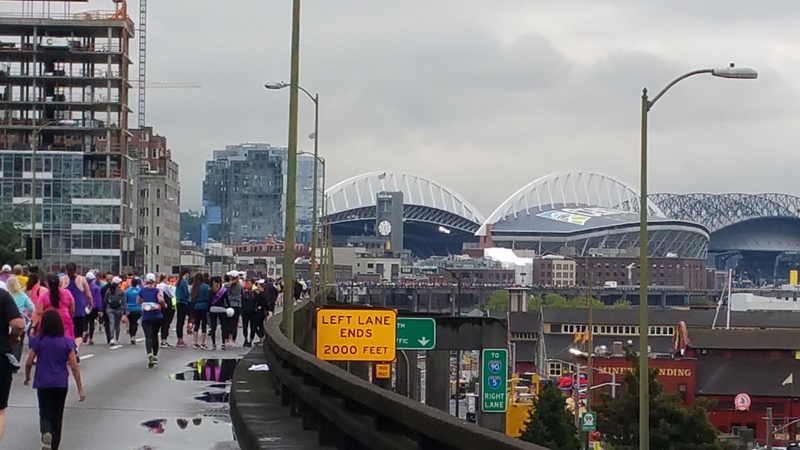 So majestic to see both stadiums… and knowing that is where the finish line is… so close yet so far away. A nice shot of the Columbia Center. Remember I was recently at the top of that building? 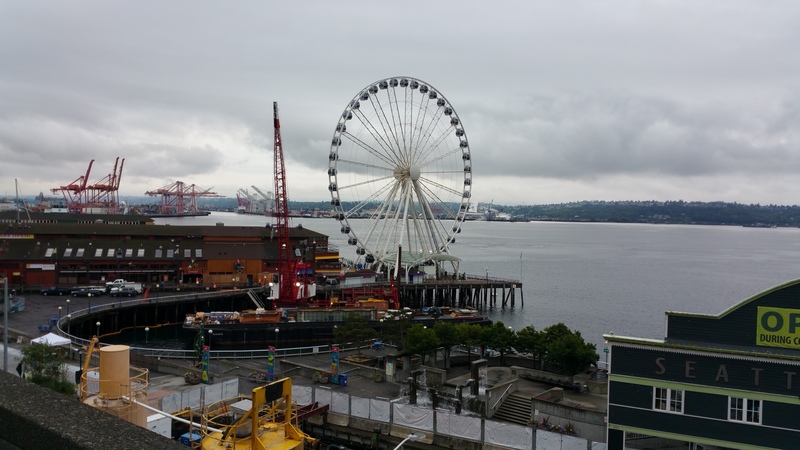 The huge ferris wheel on the waterfront. Another landmark. I love it when drum lines play on the course. 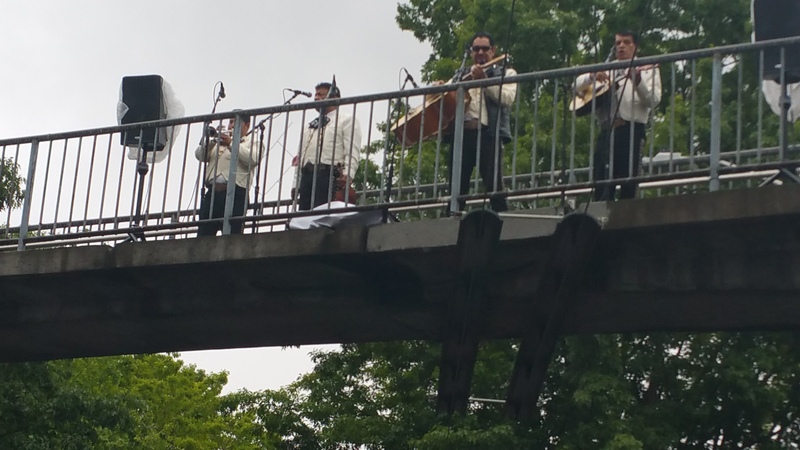 Mariachis serenading us from above. I was starving at this point and was ready for my Mexican food. 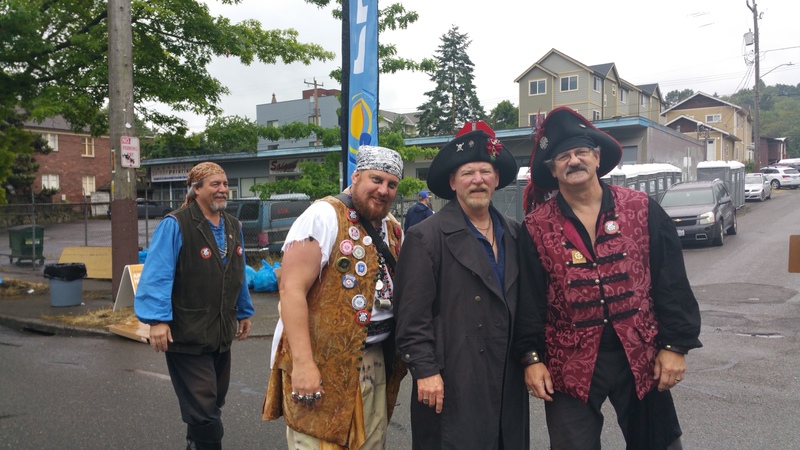 A group of pirates cheering us on and handing out water, mile 7. 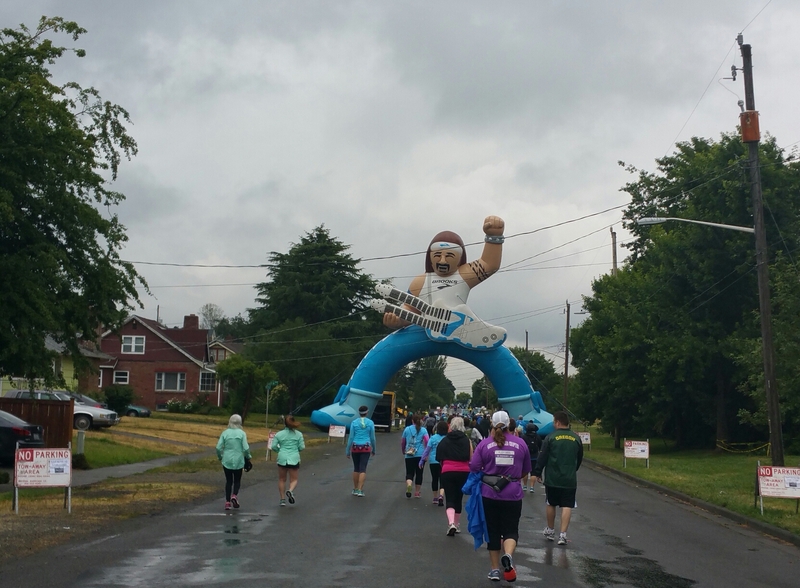 This guy is always here at this particular point during the race, right next to Genesee Park heading to Lake Washington Blvd. 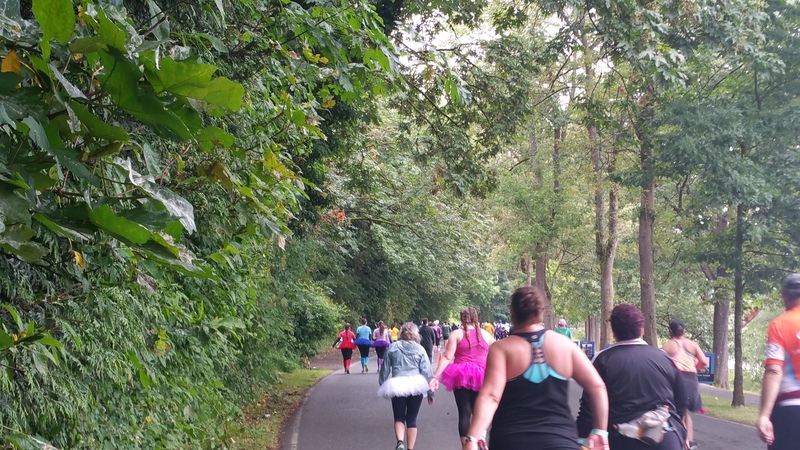 Lake Washington Blvd… a gorgeous stretch. 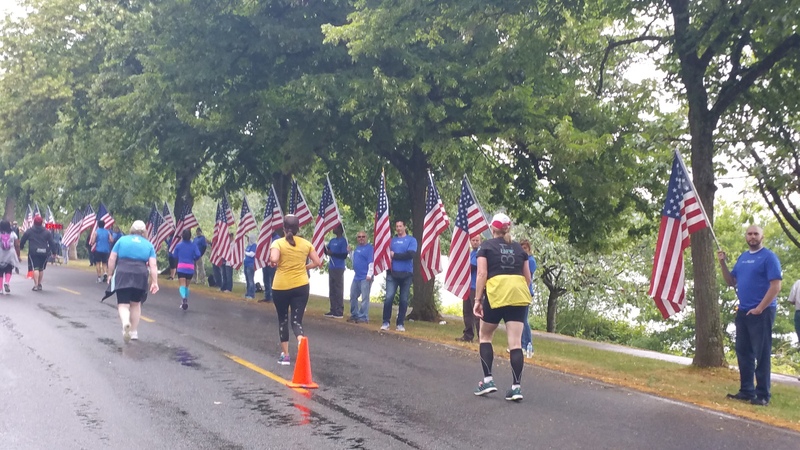 Close to 1/2-mile lined with American Flags, right after the memory mile, mile 9. 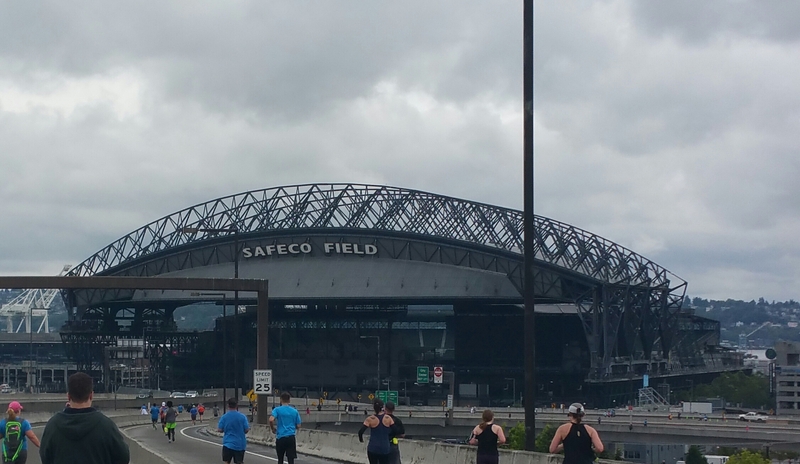 Safeco Field, home of the Seattle Mariners, mile 12. I ended up logging over 18 miles that day (love the worthless stats). Next up, Missoula Marathon and Half on July 10th. 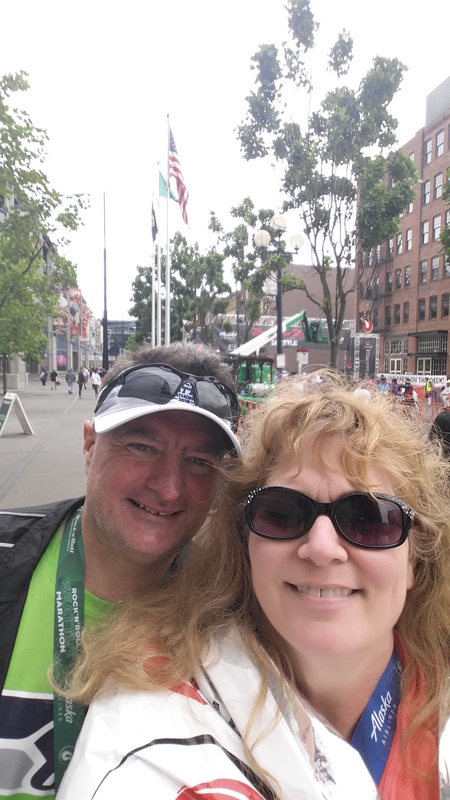 Happy Father’s Day to all the wonderful dads out there and especially to my husband James over at 50 in 50 Marathon Quest! May you all have a beautiful day! 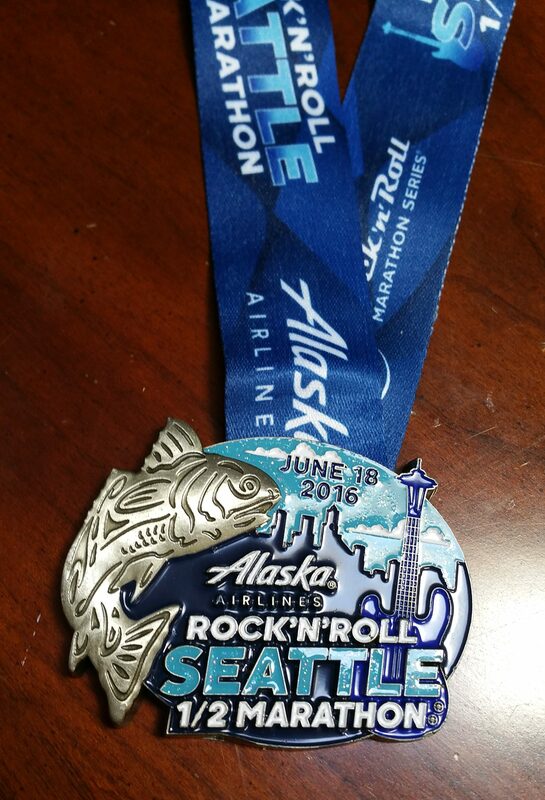 This entry was posted in Photos, Races and tagged 13.1, 26.2, Half Marathon, Pacific Northwest, Rock n Roll Seattle, running on June 19, 2016 by Paula. Congratulations! Looks like a lot of fun, but holy moly the number of people!! Thank you!! And yeah, I know!! It was crazy!! That looks like a beautiful course! I’m glad to hear you were able to complete it – Congrats! Thank you Alana!! It was actually yesterday, so we’re kind of spending Father’s Day in pain, lol! Have a great day, my friend!! Yeah. You finished and got the bling. Hope the injuries get better now. Congratulations and awesome pics. Thanks Rob!! I put “I Question You” on my playlist, and it came on right when I was contemplating turning off and only finishing the 8K because I hurt so bad. I took it as a sign to continue on, which I did, then my mantra became “every step gets you closer to the finish line.” So yes indeed, thank you!! That is awesome. Thank you for putting my song on your playlist. That was a sign from God. My wife listens to Christian music on her runs and it never fails when she is struggling just the right song comes on to keep her going. Thanks again and congratulations again. It’s rough to finish with an injury but you did it. This looks like a great, fun course! Great job! Wow, and I thought Vegas was bad cause it took about half an hour to get to the start (although maybe it was 40 minutes?). It wasn’t an hour, I know that. Did you meet up with some of the bloggers running it? I know there were quite a few! No, we didn’t actually meet up with anyone although we were planning to. The logistics just didn’t work out for that. I couldn’t even make it to the expo. It was crazy Judy. And then afterwards, all we wanted to do was go home, shower, and nap. We’d had such a long day. I think it’s worse when you live in the area as opposed to travel somewhere. When you travel, you get a hotel close to the finish line so no worries. But here, we were out the door at 4:15 a.m. and didn’t get home until 3 p.m. A long day! Definitely a long day! I’ve never done a half near here, but I have done halfs where there was no hotel near the start or finish so we still had to drive. Never a really long drive, but we have also driven to a lot of halfs and some of THOSE were long drives. It’s too bad you weren’t able to meet up with anyone. 😦 You never know who you’ll run into at a race though . . .I missed seeing Sean Astin at Zooma Annapolis last year, apparently. Wonderful photos. I love how you make me get a sense of Seattle 🙂 crazy to spend such long time on your feet without running all of it and the standing as well. Hope your feet recover soon! Wow 18 miles!!! Just thinking about that makes me want to grab my inhaler. Congratulations Paula and I really enjoyed looking at your photos along the route. I’ve never been to Seattle and the photos I’ve seen haven’t captured what you’ve done here. Thank you so much!! I’m glad you enjoyed!! I think it’s always fun to see what happens along the race course!! Fantastic job Paula! I chuckled when you said James had already ran 5K by the time you got started. Thank you!! Yeah, it was something else that start line. People were sent out in waves, it was crazy. Great pics! 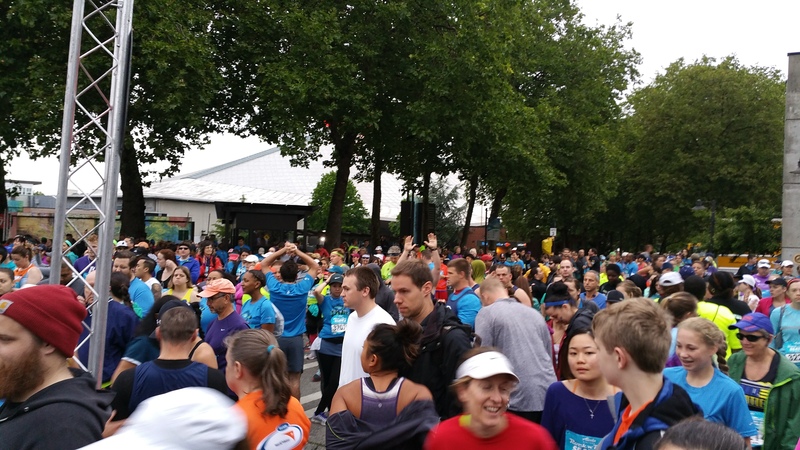 Yeah, I was pretty surprised to see the number of corrals at the start. Lots of people! Way to get another half marathon done!